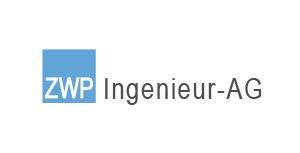 Ever since 1980, ZWP Ingenieur AG has been developing innovative solutions, oriented to clients’ specific requirements, as well as enhancing the efficiency and environmental footprint of building services. Apart from planning building services systems, our services include the planning and implementation of technically intelligent building concepts, consultation, expert opinion, operating efficiency assessments, building and system analysis, building simulation, as well as rehabilitation projects and certification for environmental standards. The business was founded in 1980 by Bernhard Zibell. There are 270 employees working in all disciplines of technical building services at the German sites in Cologne, Berlin, Hamburg, Bochum, Dresden, Munich, Stuttgart, and Wiesbaden. 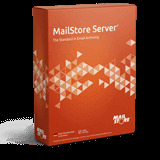 Archiving method Thanks to MailStore Server, ZWP Ingenieur AG was able to create a scheduled archiving of the public folders in Exchange. Each night, the corresponding mailboxes in the email server are checked, and all new or changed emails are archived. All emails are deleted from the public folders after a six-month period according to a rule-based process. This has the advantage of reducing the workload of the email server over the long run.